Check out the new etsyBaby Treasury by ZadyBall! It is so funny...September has far and away been my best month on etsy, until the last day or two. My cloth wipes have been selling like gangbusters (what a weird phrase by the way...anyone know what it means? ), but then yesterday and today, I feel like someone pulled an invisibility cloak over my shop, views have been next to non-existent. So strange. I suppose it could have something to do with the economy freak out...Either way, I am sure it will get better! Just means it is time to hit the sewing machine hard! Well, not literally "hit," but you know what I mean! In other news, good news, I got into Urban Craft Uprising 2008! I am so beyond excited! It is a super huge 2 day show, December 6-7th in Seattle, WA. I applied and got in! So, it is certainly time to up the inventory....up a lot! I have heard some folks even sell out (wow, how cool would that be!)! I generlaly do very well at shows, so I am very happy! Should make for a busy fall/winter! 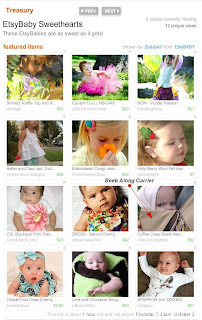 EtsyBaby is turning one! So we are celebrating by passing on some savings to our great customers! 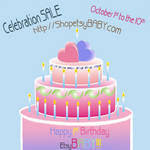 Click the image of above for great discounts at your favorite etsyBaby shops from Oct. 1-10th! Sometimes Things Really are Free! I want to let you all know about a great giveaway I am sponsoring! It just started today, it is easy to enter, and if you win, you get a free nursing cover from my shop, or a $20 Gift Certificate, your choice! You can find it here: Handmade Showcase Giveaway. While you are there, check out the other amazing giveaways listed! Tomorrow there is going to be one for a really awesome diaper bag! 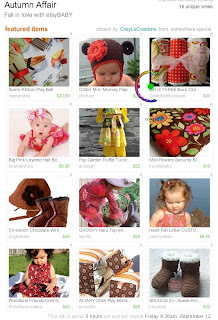 My new treasury west! After making the poster sketch, and then waiting days for a treasury slot, the main one crashed bad last night...so this am when there were Twest slots open, I decided to go ahead and post there instead. Now my search begins for the next featurees! 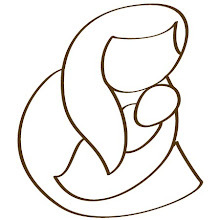 Click on the image to fall in love with etsyBABY! Weel, the Northgate Family Festival was yesterday...and I can honestly say I met some great women who were vending near me, including two etsy sellers, one who is a member of etsyrain too! The weather held for us, it was nice, and most importantly not raining! yay! Unfortunately...the music, while good, was too loud to talk with cusomers most of the time(or to hear oneself think for that matter, haha) and the layout was terrible. We were in a rowofvendors, back to back, with me in the half that were facing AWAY fromt the main stage and all the entertainment, soa good portion of the festival attendees had no reason to walk past us...bummer. Besides that, most people there really weren't my target market. Oh well, you live and learn. I did make back the booth fee, so that's cool, and sold a carrier as a gift, which the gal was really excited about, so that's great too! I love to see my carriers go home with people, they are such a great parenting tool! Beyond that, I expected at least one show to be a a bit of a dud, since I had never even been to most of them i applied for, but you have to try, ya know? So, overall, I met some great people, didn't lose any money, sold a carrier, and enjoyed the weather with my family, all in all, not a bad day! ps-I am on my mom's comp, so no pics today, but please check out my website, if you haven't! and you will see some super sweet goodies from the etsyBaby Street Team! Treasuries are fun to make, but can be stressful waiting to get in! It is a matter of luck and timing! Check back later for more money saving tips!